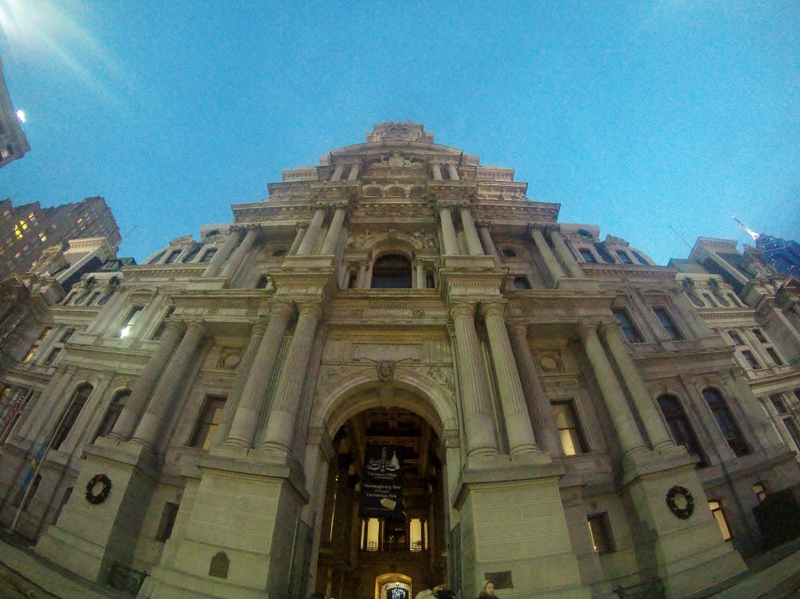 After spending some time in Cathedral Basilica of Saints Peter and Paul, we went onwards to the Philadelphia City Hall which is known to be the largest municipal building in USA. I was meaning to visit it to access its observation deck which apparently gives you a breathtaking city skyline view of Philadelphia however, it was already closed when we arrived. I was extremely disappointed since I was looking forward to it the most – to be able to get a photo of Philadelphia skyline. 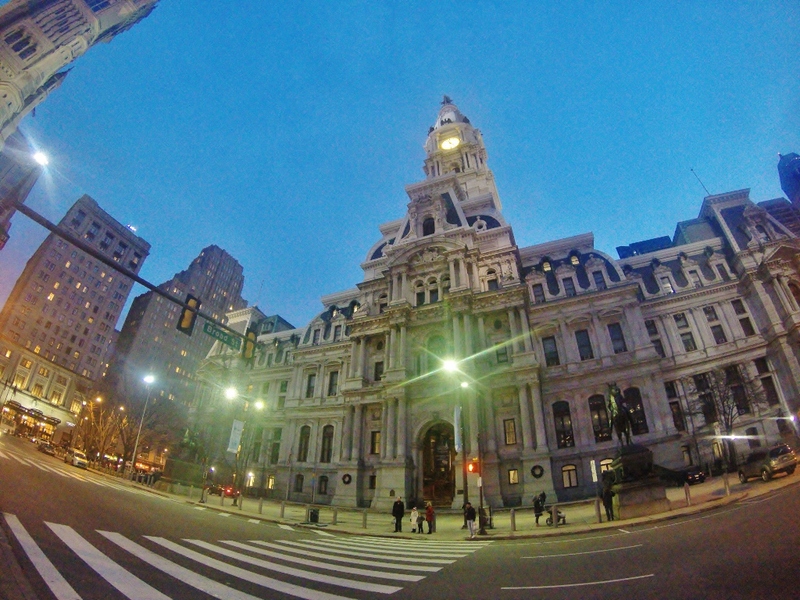 With a heavy heart, I still went on and explored the City Hall while my sister looked for a parking lot nearby. Parking in Philadelphia is so bad that my sister ended up parking in a private spot with her hazzard lights on and her not leaving the car at all. She waited for me patiently as I finished exploring the area of City Hall with public access at the time. 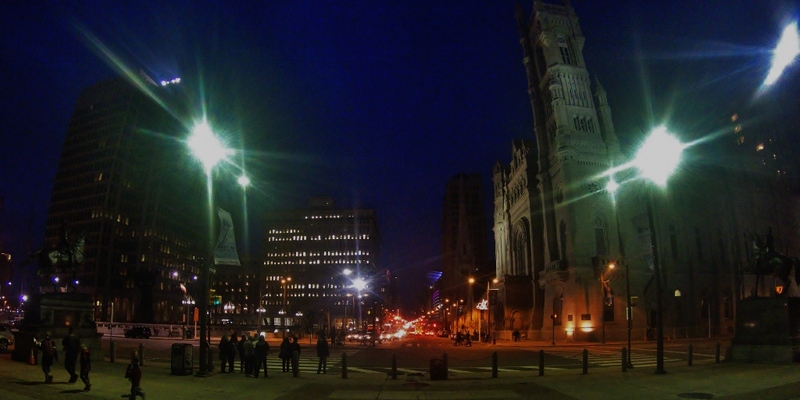 What I love about Philadelphia is the city’s architectural design is a fusion of the modern and the old – it blended so perfectly well which gives it an incredible atmosphere. You face one side of the street and you’d feel like you’re in the Renaissance period in Europe with its classic architecture and then you can face the other side and a high rising glass-paneled building is what’s in front of you. The City Hall area is a good example of this great fusion of the old and the new. 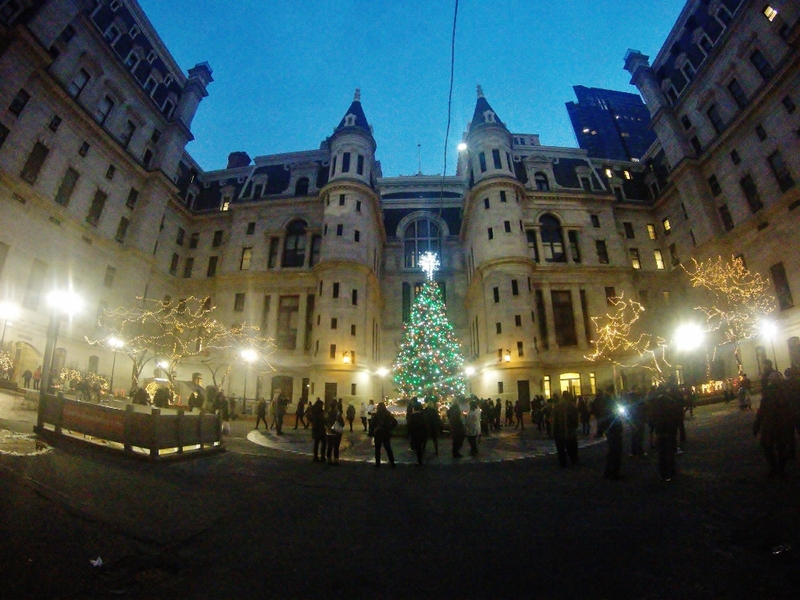 Inside the City Hall was a small courtyard where a giant Christmas Tree was in place. Around it were a few tables where people would drink their hot chocolate and eat their pretzels. It was packed when I went and the atmosphere was lively and joyful. I just wished that it wasn’t so hard to find a parking space in the city so that my sister would’ve been able to join me as I walked around the courtyard. 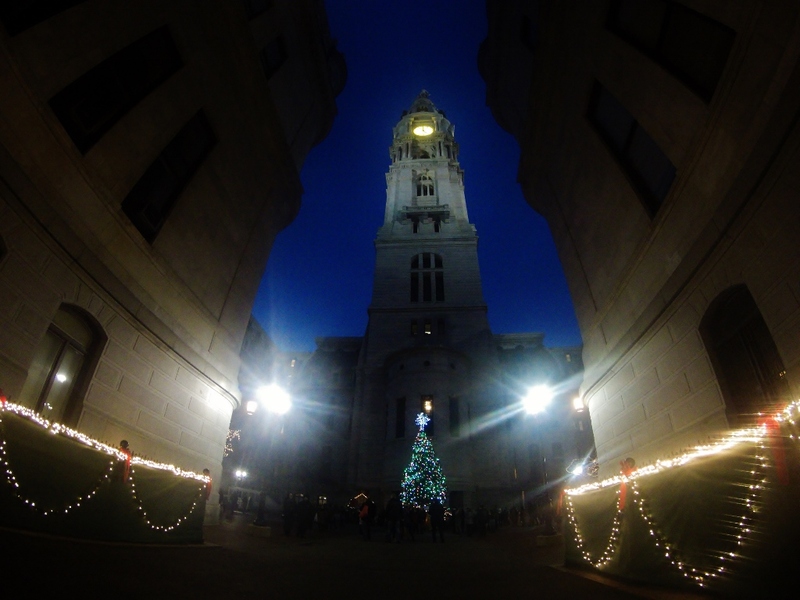 All photos are taken using gopro Hero4. Will need to make a note to visit City Hall! 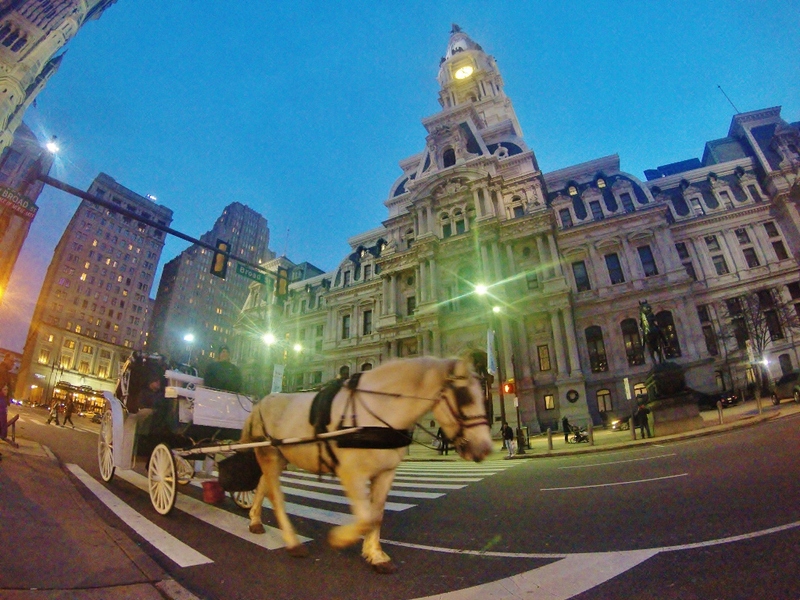 Philadelphia’s now my second favorite city in the USA. 🙂 it’s really lovely.